Those of us in the Northern Hemisphere may still find ourselves in the stubborn and merciless grip of winter, but the promise of freer, lighter and brighter times is in the coming spring air. In fact, with the super new moon in Pisces, initiation into Aries and a total solar eclipse all falling on March 20, 2015, this year’s equinox brings us an opportunity for profound healing, renewal and transformation. Celebrated by goddess traditions since ancient times, the equinox marks a time of persevering through the dark and cold trials of winter (and of life), and reviving our senses and our spirits once again. And with all the celestial events lined up as they are right now, it is as if the spring goddesses—Isis, Persephone and Ostara in particular— themselves are standing ready, fully supporting us in clearing out our deepest weeds so that we may plant beautiful new seeds in the garden of our souls. 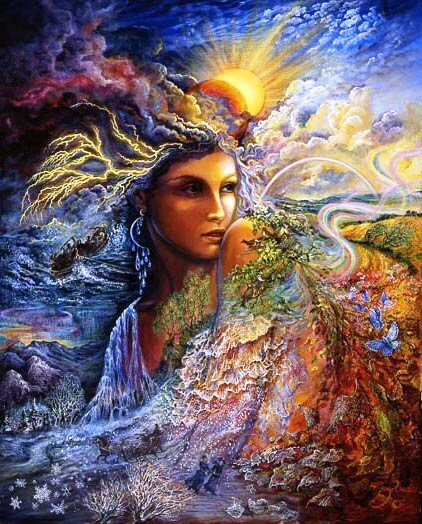 Read Syma’s full article, Review, Release, Reset: Goddess Gifts For The Spring Equinox as published in elephant journal to receive inspiring insights and powerful rituals to invite the fullest support of the spring goddesses and transform your life.